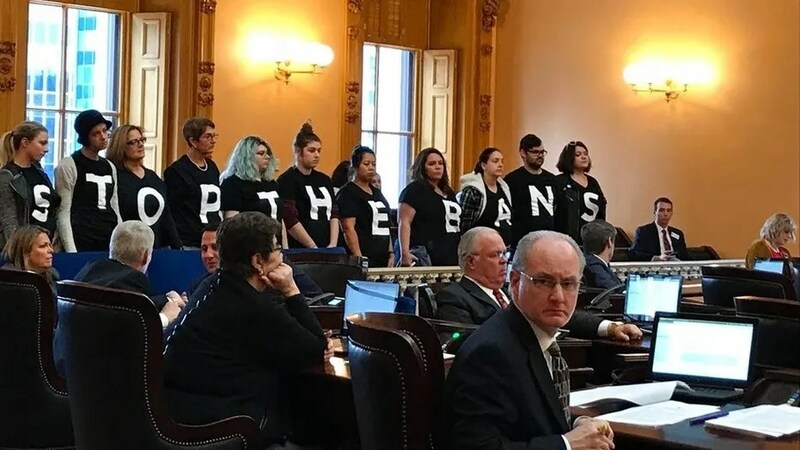 The GOP-led Ohio state Senate on Wednesday passed a ban on abortions based on a diagnosis of Down syndrome, and Republican Gov. John Kasich has sent signals that he will soon sign the measure into law. Lawmakers voted 20-12 in favor of the ban, which would prohibit doctors from performing an abortion if doctors know that it is being sought, “in whole or in part,” to avoid a Down syndrome pregnancy. Three Republicans voted against the measure, which was opposed by all of the state Senate’s Democratic lawmakers. The bill has also divided the disability community in Ohio, with some disability advocates testifying against the proposal because, they said, it prioritizes Down syndrome over other disabilities. “This bill sends a very clear message, that some disabilities are more worthy of life than others and that one disability — Down syndrome — is the most worthy,” Jane Gerhardt, a woman whose daughter suffers from Down syndrome, testified Tuesday, according to local reports. The ACLU has characterized the bill as an unconstitutional effort to usurp well-established abortion rights. The legality of aborting fetuses with Down syndrome, a genetic abnormality that causes developmental delays and other serious medical problems, has recently been debated in other states. Indiana and North Dakota already have passed laws like the one that Ohio is advancing. The Indiana measure, enacted in 2016, was blocked by a federal judge on constitutional grounds after a lawsuit by the ACLU. An appeal by state officials is pending. The 2013 North Dakota law has not been challenged, so courts have not yet had the ability to rule on its constitutionality. The state’s sole abortion clinic, in Fargo, says the issue hasn’t arisen under its policy of not performing abortions after 16 weeks into a pregnancy. The Ohio vote was a key policy victory for Ohio Right to Life, the state’s oldest and largest anti-abortion group. Last December, Kasich vetoed the so-called “Heartbeat Bill,” which would have banned abortions after a heartbeat is detected — typically about six weeks into a pregnancy.